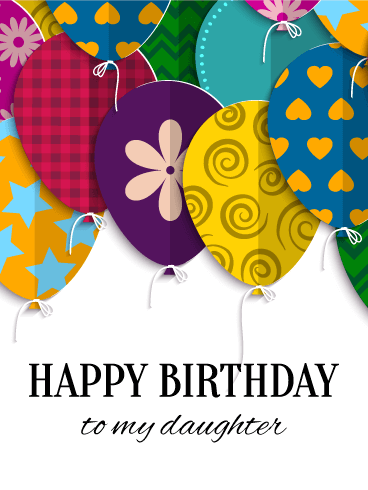 The big, colorful balloons on this card are about to lift the birthday girl behind them up, up and away! 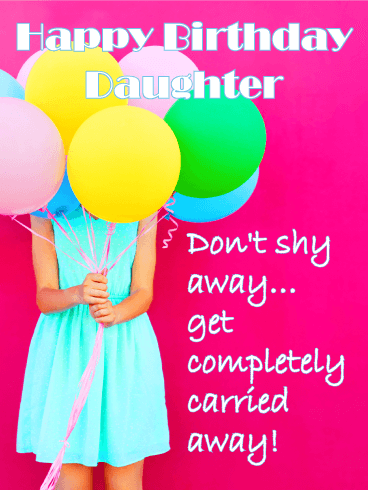 It's the perfect way to remind your daughter to get carried away in all the fun & excitement of her birthday. 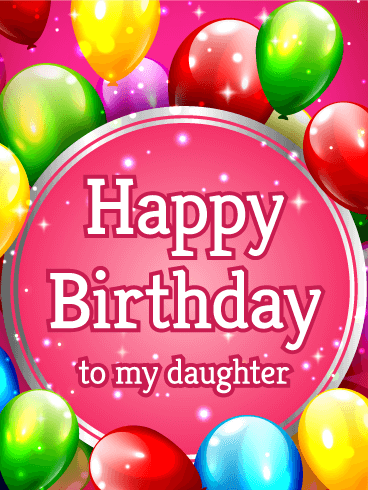 Whether she's young or old, this fun surprise is sure to have her floating on air! 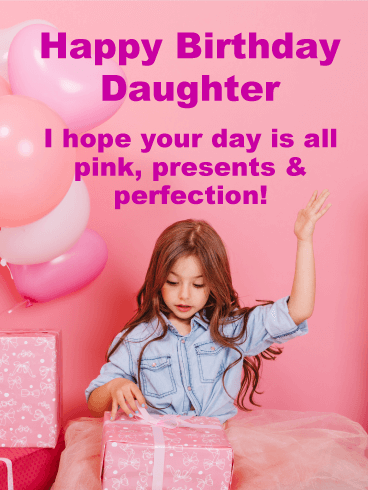 This cheerful and colorful birthday card is full of happy birthday wishes for a special daughter! 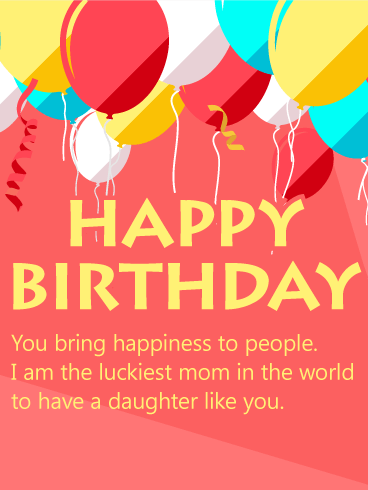 With festive balloons floating above and a single music note alongside the greeting, it sets the perfect mood for a day of celebrating with all the people she cares about most...including you! 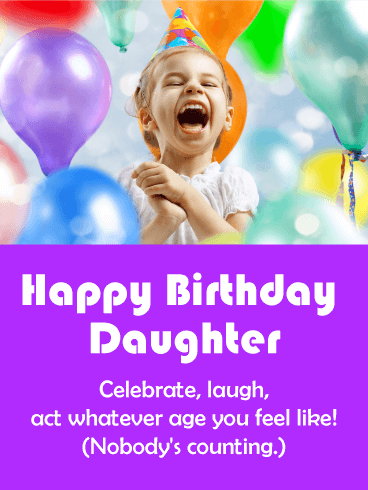 A rainbow of balloons will brighten your daughter's birthday in an instant...and the message will remind her of the amazing person she is! 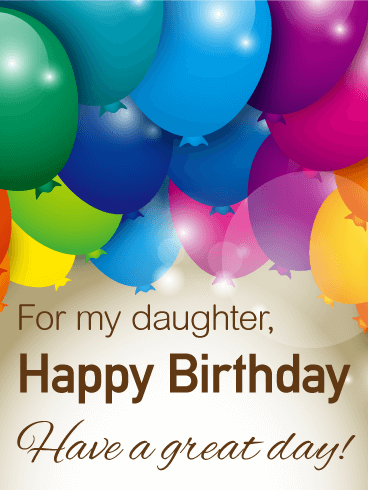 This colorful birthday card strikes just the right tone for her special celebration. And it's the perfect choice to send to children or adults...because after all, who doesn't love a great party?